With grand plans, political support and a $140,000 annual base appropriation from the California legislature, the Center for the Analysis of Western Agricultural Issues, soon to be known as the University of California Agricultural Issues Center (AIC), was established in 1985. It was established to research and analyze crucial trends and policy issues affecting agriculture and interlinked natural and human resources in California and the West and to make objective results available in various formats to policymakers and those affected by policies. Soon after establishment of the AIC by the UC Regents, UC Vice President for Agriculture and Natural Resources James B. Kendrick, Jr. appointed Harold O. Carter as Director.1 Carter served from November 1985 through 1996 when he retired. Daniel A. Sumner, his successor and the current incumbent, was appointed effective January 1997. To a large extent the vision, style and dedication of these two directors have determined selection of projects, influenced modes of approach and shaped outreach. Other major guidance has come from the Vice President for Agriculture and Natural Resources and members of the Advisory Committee appointed by the Vice President, which generally meets twice a year. Formally established 23 years ago in 1985, in reality the Center was conceived two years prior and has a 25-year history. Cognizant of the complexity of issues facing western agriculture and the enormous implications for society, in fall 1983 Vice President Kendrick learned the Kellogg Foundation was thinking of funding development of four regional centers to address policy matters affecting agriculture. After consulting with his staff and campus deans, he immediately appointed a multi-institutional committee (Appendix B), chaired by Alex McCalla, with representatives from three UC campuses, Stanford University, the University of Santa Clara and Bank of America to design a broad program for an agricultural policy center and budget.3, 4 The chair and the majority of the committee members were agricultural economists, but their charge was to develop a program broader than economics, one that would impartially evaluate policy alternatives.5, 6 On November 28, 1984 the committee submitted its pre-proposal report to Kendrick.7 Later, he was to reminisce, they “put together a marvelous program that I thought was just what we needed.” The report listed principles of research, analysis and extension to be embodied in activities of the proposed center and suggested subjects on which to focus. However before the $580,000 (annual funding) proposal could be submitted, the Kellogg Foundation decided instead to develop a single national Center for Agricultural and Food Policy within the Resources for the Future, in Washington, DC. Kenneth R. Farrell became director of that national program.8 Of relevance to AIC, Farrell later succeeded Kendrick in 1986 as UC Vice President for Agriculture and Natural Resources. The original McCalla committee members recommended against launching a center with only $140,000 funding. Nevertheless, Kendrick “decided we’d swallow our pride….and do with it what we could, and demonstrate that we had a program of value.”21 In 1996 he requested an additional $100,000 to augment the Center’s appropriation, but that failed. • International trade with particular attention paid to its effect on economic stability and market development, especially concerning the Pacific Rim and Asian trade. • The effects of advances in productivity and technology on agriculture, with particular attention to social and economic impacts. • The role of natural resources and their scarcity on western agriculture, particularly emphasizing water, land use, and energy policies. • Methods of increasing the awareness and involvement of various minority group members in agriculture and allied industries. • The impacts of specific agricultural commodity supply and demand policies in the Western United States and the influence of national agricultural policy and fiscal, tax, and monetary policies. • International trade and globalization of agriculture. • Advances in productivity and technology in agriculture. • Linkages between natural resources, the environment and agriculture. • Rural-urban interactions, particularly land use issues. • Agricultural personal and labor issues. • Commodity market and agribusiness issues. The Center has always had a small, permanent research and administration staff (less than six or seven individuals, some part time) augmented by student research assistants and an occasional visiting scholar (Appendix C). To facilitate simultaneous focus on several priority areas, Dan Sumner appointed seven Associate Directors in 1997 (see Appendix D). In his capacity as AIC communications specialist, Ray Coppock played a major role during the 1987-2001 period. Although UC personnel from throughout the UC System, including Cooperative Extension personnel in the counties, make use of AIC findings and are involved in AIC studies, relationships with UC Davis faculty and staff are generally more extensive because of our Davis campus location. The Director, Dan Sumner—and Hal Carter before him—is a faculty member in the Department of Agricultural and Resource Economics, within the UC Davis College of Agricultural and Environmental Sciences. This has determined that the UC AIC is physically located on the UC Davis campus. For the first 9 years (1986 – early 1995) the Center occupied the University House, the former office of Chancellor Emil Mrak. AIC was moved in early 1995 into the lower level of the new Social Sciences and Humanities Building. Since then the Center has had two more moves—moving to the first floor of Hunt Hall in fall 2003, only to move to the fifth floor of Kerr Hall in September 2007. The AIC expects to move from Kerr Hall shortly. Soon after launch Kendrick appointed Hal Carter for a 3-year term as the half-time director of the UC Agricultural Issues Center. A professor of agricultural economics at UC Davis, Carter had been a member of Kendrick’s committee chaired by McCalla, which developed the preposal for the Center. The Center opened on the UC Davis Campus. Consistent with the legislature’s recommendation, Kendrick also appointed a broadly based external advisory board that would meet semiannually, with renewable terms of 3-years. It had representation from labor, consumers, banking, the processing industry, farming operations and water interests (Appendix E).23, 24 Kendrick spent a great deal of attention trying to select individuals whom he thought would bring an open point of view and could advise the director (and vice president) to assure the center’s programs remained relevant to issues important to the future of agriculture.25 His charge to the board was: “to discuss and identify general topical issues, program priorities and broad public policy concerns.”26 Deciding on a 12-member board he appointed 11 of the initial members, intentionally leaving one vacancy for the new vice president to fill. By means of a drawing he also staggered the initial one-, two- and three-year terms.27 Believing it important for the Vice President to remain involved with the Center he personally appointed the members and attended almost all board meetings, as did his successor Ken Farrell who also was highly supportive of AIC objectives. At its first meeting, July 10, 1986 members of the Advisory Board elected William F. Allewelt, then president emeritus of Tri-Valley Growers, as chair, and Howard Marguleas of Sunworld as vice chair. Allewelt continued to serve as chair until mid 2000, at which time Daniel M. Dooley, an agricultural and environmental attorney, assumed the position. Until his retirement in late 2007, Allewelt remained on the board as vice chair. Joe Zanger, general partner of Casa de Fruita, was chosen as chair at the November 11, 2007 meeting when Dan Dooley resigned to become UC Vice President for Agriculture and Natural Resources. March 3, 1986 Kendrick submitted a written report to the legislature describing internal organization and the many projects undertaken.28 In subsequent years Hal Carter visited with the Speaker and his staff to apprise them of agricultural issues and about AIC activities and findings. Annual reports about Center activities were regularly written and distributed to board members and leaders in the state until 2004. To share information about the Center with the larger public, publication of the UC/AIC Quarterly began in 1987. There were 2700 recipients when the last hardcopy AIC Quarterly was mailed at the end of 2005. Publication of the ongoing AIC Issues Brief series commenced in 1997. Increasingly, the AIC website (aic.ucdavis.edu) has replaced hardcopy publications. With initiative of the AIC Advisory Board and others, in 1997, soon after Carter’s retirement from the University, the AIC Harold O. Carter Endowment was established as tribute to Hal Carter’s invaluable leadership as the founding director. The purpose of the Harold O. Carter Endowment is to support general programs of the Center, rather than specific projects for which grant funding would be sought.29, 30 By 1998, the endowment had over $400,000 in pledges and receipts, and income has been accumulating since. During the first 10 years of its existence, the Center chose to study broad “umbrella” issues. These major study projects involved researchers from many UC campuses and disciplines, as well experts from government agencies, agribusiness and the public. Often several interdisciplinary study teams were organized and facilitated, with funding made available to collaborating UC team leaders for research assistant support. Typically requiring a year or two, the projects culminated in public conferences where team leaders reported their findings and panelists responded to preconference papers. Videos providing contextual background were developed to open the conferences and, additional to technical reports, the AIC wrote follow-up publications for a non-technical audience, summarizing conference presentations and audience interactions. To this day many of the early videos and publications are being used in UC Davis classes and at Shields Library are available only from the Reserve Book Room. In addition, the Center has organized numerous more narrowly focused studies or events on a large variety of topics within its priority areas. Often undertaken at the urging of a state agency or in coordination with an agricultural industry, such studies focused on critical agricultural issues for the future— the “white paper” series, Williamson Act participation, AIC’s statistical overview, The Measure of California Agriculture, Valuing UC Agricultural Research and Extension, the Competitive Edge Series on beef, dairy, rice, canned fruits and walnuts, California agricultural exports, nutrition, pest control policies, the market for California wine in China, economic effects of animal welfare space requirements for egg layers, and more. Whether the scope of AIC’s project is narrowly focused on data collection, data analysis, simulation modeling or public policy analysis, or is broad and multidisciplinary with many interlinked issues and effects, the AIC identifies and obtains reliable data and draws extensively on agricultural economics expertise to examine the issues of concern. AIC and its personnel have actively collaborated within the University community and with many institutions and organizations in obtaining data for study and analysis and in developing material for conferences, research symposia, publications, online reference and other outreach activities. A partial list of collaborating entities includes UC Cooperative Extension county offices, county agricultural commissioners, the Center for Agribusiness at California State University, Fresno; California Polytechnic Institute, San Luis Obispo; Iowa State University; Kansas State University; University of California, Riverside; University of California, Berkeley; University of California, Davis; California Department of Food and Agriculture; California Department of Water Resources; California Department of Pesticide Regulation; United States Department of Agriculture Animal and Plant Health Inspection Service; Farm and Collaborative Training Systems (FACTS); Ducks Unlimited; California Chapter of the American Society of Farm Managers and Rural Appraisers; Agricultural Council of California; Agricultural Producers; American Farm Bureau Federation; California Cattlemen’s Association; California Chamber of Commerce, California Farm Bureau Federation, California Grape & Tree Fruit League; Western Growers Association, California Winegrape Growers Association and others. Major studies, events and products completed in the Center’s 23 years (1985-2008) are briefly described below. Cited publications are listed in History Appendix E, which also lists a few additional representative AIC publications. Activities during the most recent five years are summarized in greater detail elsewhere. 1985-1986. Impacts of Farm Policy and Technological Change on U.S. and California Agriculture. The Center’s first “umbrella” study project and symposium focused on the direct implications of national agricultural policies on agriculture in the West, and also on the interaction of those policies with other forces such as foreign trade. Two-hundred industry, government and UC people participated in the symposium. Publications included a 21-page summary, a book and three separately published excerpts on the dairy, cotton and rice sectors. 1986-1987. Marketing of California Specialty Crops: Worldwide Competition and Constraints. Under another umbrella, specialty crop marketing, this study set the pattern for the next 12 years or so. One in which AIC organized and coordinated multiple study teams (for this study, six) whose work led to a public conference, followed by summary proceedings and technical reports. Purposely-developed videos were created to convey complex background information at the conference. 1987-88. Chemicals in the Human Food Chain: Sources, Options and Public Policy. Over 60 researchers—with expertise ranging from veterinary science, entomology, toxicology, medicine and law—from UC Berkeley, Davis and Riverside campuses and Stanford University—participated in the study. Another 150 non UC experts participated as consultants and reviewers and 30 served as conference session chairs and panelists. The Center’s public conference in Sacramento drew over 300 participants, and was broadcast by satellite to several other locations. A conference proceedings, five technical publications, five videos and a book resulted (Winter et al. 1990). 1989-90. California’s Central Valley—Confluence of Change. Demographic and economic trends leading to urbanization, effects of transportation systems on land development, land, air, water and biological resources and institutional influences on growth, change and quality of life, all were examined by over 60 UC researchers from five UC campuses, Cooperative Extension, various state and federal agencies, local government and others. Products: Two conferences (about 230 attended in Sacramento and 250 in Fresno), a major report (Carter and Nuckton 1990), technical reports on people and resource pressures, six videos and Cooperative Extension outreach programs. 1991-1992. North American Free Trade Agreement: Implications for California Agriculture. A steering committee of industry spokespersons and others, as well as a technical advisory committee of UC faculty guided the year-long project. Well before the national debate on NAFTA, the conference drew 130 participants from across the nation, Canada and Mexico. A 240-page book and background video were produced. 1992 – ongoing. The Measure of California Agriculture. Over the years, The Measure of California Agriculture has become AIC’s hallmark publication. Through tables, charts and interpretive text, MOCA, as it is nicknamed, summarizes statistical details documenting California agriculture and its relationship to the rest of the economy. First produced in 1992 in response to a request by the State Board of Food and Agriculture (Carter and Goldman 1992), subsequent editions have been prepared in 1996, 1998, 2000 and 2006. Starting with the 2000 edition, MOCA has been available for free downloading from the AIC website (Kuminoff et al. 2000a). MOCA has expanded in breadth and depth over the years. Besides summarizing statewide statistics on land use, farmer demographics, farm expenditures, commodity demand and cash receipts, the 2006 edition includes information on regional and county-level production, organic production, farmland conversion, productivity growth, pesticide use, marketing, trade, government support and risk management policies, government invasive pest control expenditures and more. Chapter five summarizes data on the direct economic contribution of agriculture in California, the Central Valley, San Joaquin Valley, Sacramento Valley and Central Coast regions and presents the AIC’s latest estimates of agriculture’s ripple effects in the state and regional economies (University of California Agricultural Issues Center 2006a). AIC also publishes Measure of California Agriculture Highlights, a cogent companion brochure or set of pocket cards highly popular with those who seek quick access to numerical facts about California agriculture (University of California Agricultural Issues Center 2006b). 1992-1993. California Water Transfers: Gainers and Losers in Two Northern Counties. In cooperation with the UC Water Resources Center this seminal study examined the third-party effects in Solano and Yolo counties of water sales to the state. Because one-quarter of the water sold to the 1991 State Drought Water Bank came from the two counties, both they and the California Department of Water Resources (DWR) were very eager for UC to undertake the study. The UC Division of Agriculture and Natural Resources (UC DANR) and DWR provided partial funding in support of the project. Assembling six technical advisory committees and four study teams, the center coordinated the project’s biologists, hydrologists, economists, water managers and attorneys from UC, private interests, state, federal, and local government. Quantitative data was collected and analyzed relating to effects on the Pacific flyway, county welfare roles and taxes, groundwater and subsidence and more. An extensive telephone survey of farm producers and allied businesses was conducted and, in addition, AIC staff personally interviewed local community leaders and water managers to learn their perceptions and opinions. Outputs of the first phase of the project included a large public conference, two videos and a summary proceedings. Phase two produced a book larger in scope than the two counties (Carter et al. 1994). 1993-1994. Valuing UC Research and Extension. Commenced at the request of UC Vice President Farrell in the face of severe cuts in the UC agricultural research budget and the broader UC system, this short-term study analyzed the role of public-sector agricultural R&D in California, documented the payoff and highlighted important changes in public-sector investment. Dairy, grapes and wine, and strawberry case studies provide examples of the role and relationship of UC research to California agricultural production and productivity. The 117-page publication (Alston et al. 1994) plus separately published Summary Report (Coppock and Kreith 1994) and pocket cards highlighting the findings were widely distributed to California legislators and nationwide among leaders at land grant universities. 1993-1994. Financing Agriculture in California’s New Risk Environment. Co-sponsored with the UC Giannini Foundation, a committee of producers, lenders and agribusiness representatives met for several months with UC economists to define the key issues. After the public conference, at which a video reviewed the history of the new lending environment, the AIC published a 235-page report. 1994-1995. Animal Agriculture’s Impacts on Water Quality in California. More than 60 scientists and others from 12 UC departments, 11 county Cooperative Extension offices, 10 federal and state agencies, and major animal industry groups participated in research teams that were organized by the AIC in partnership with the newly created UC Davis Animal Agriculture Research Center. After the conference, the backgrounder video became available, detailed study team reports were published together with panelists’ comments (Coppock and Weber 1994) and three single-topic reports commissioned (Atwill 1997). 1994-1996. Government Regulations and their Impacts on Production Agriculture in California. Shifting away from the umbrella type study with multiple research teams, the AIC designed and conducted an extensive telephone survey of 263 randomly selected growers (8 commodities in 7 counties) to learn their attitudes, opinions and experiences on government regulations. The regulations related to aspects of employee safety and health, employee rights, employee disclosure, transportation of employees, consumer health and safety, community public health and safety, and natural resources. Members of an ad-hoc advisory committee provided cogent advice and review at all stages of the study. Funding was solicited only after the project scope had been defined. Initiated after urging by a Monterey County cattleman, financial support of this project was provided by an UC DANR grant and the Agricultural Council of California, Agricultural Producers, American Farm Bureau Federation, California Cattlemen’s Association, California Chamber of Commerce, California Farm Bureau Federation, California Grape & Tree Fruit League, and Western Growers Association. The 150-page book reports findings of the survey analysis by AIC staff (Carter et al. 1996). 1995 -1997. Agricultural Technology, Maintaining Viable Agriculture at the Urban Edge and the Future of Agriculture. After an extensive series of interviews to identify emerging and future technologies that could help California farmers to compete, the project was subsumed by three projects. First, on the occasion of UC Vice President Farrell’s retirement, the AIC held a conference that looked at science technologies and environmental and economic factors shaping agriculture. It then looked at land use and pesticide issues with farmers and their neighbors—the California Department of Pesticide Regulation (DPR) was especially interested in this project. Third, it posed the question of how to maintain agriculture at the urban edge, with the focus being land use policies and new or emerging technologies and management practices. Conferences, workshops, books, and videos resulted from each of these projects. Carter retired as AIC director before publication of “California’s Future: Maintaining Viable Agriculture at the Urban Edge” (Coppock and Kreith 1997). 1997 – ongoing. California’s Agricultural Exports. Export data may be important for analyzing California’s potential markets and helping marketing organizations and government agencies develop strategies and understand foreign economic trends that may affect domestic markets. For these reasons and to responding to known problems with existing sources of state level export statistics, Sumner, as the new AIC director, formed a partnership with the California Department of Food and Agriculture (CDFA) Agricultural Export Program to provide more accurate data on exports. Today, AIC’s annual data is used by the CDFA as the state’s official export statistics. A series of AIC issues briefs, as well as more extensive online reports with details about methodology and sources annually summarizes Center findings (Rowhani and Sumner 2007). In addition to ranking the top commodities by production value and comparing with the previous two years, the popular brief provides information on major destinations and the share of production that is exported. The AIC has generated a commodity-specific methodology, focusing primarily on 50 (expanded to 55 in 2005) California commodities, which together account for more than 90% of the state’s farm production value. For each of those commodities AIC used a variety of data sources, combining formal operations and informal adjustments depending on the commodity and industry. Industry sources were helpful, either providing explicit export data or guiding us to other sources. The first year of the project yielded export data for 1995-1997. Since then, AIC has updated the data set through 2006 and improved some of its estimation techniques and revised earlier estimates, based on advice from industry and academia. 1997. Measuring the Benefits of Policy-Oriented Economic Research. An AIC sponsored symposium. 1997-1998. How California Agribusiness Uses the Internet: Adoption and Diffusion of Computer Technology. A survey study. 1998 Risks and Opportunities for California Agriculture, including presentations on the changing food marketing system. 1999 Marketing through the New Global Retailers. Cosponsored with UC Center for Cooperatives. 2001 The WTO and International Trade Prospects. Cosponsored with the Giannini Foundation and the Center for Cooperatives. Spring Outlook Seminars cosponsored with Cooperative Extension and the California Chapter of the American Society of Farm Managers and Rural Appraisers: 2003 Spring Outlook Seminar. Topics included commodity and issue outlooks, trade with China, cost of production, global food retailing, farm labor issues and outlook and trends in farmland values. 2005 California Agriculture: Managing our Resources for Profit. 1998-ongoing. Wine Issues: Markets, Prices, Policy and Economic Effects of Climate Change. The Center has undertaken numerous studies, including wine marketing on the web, contracts and quality, wine pricing and quality and government policy, wine industry diffusion of innovations, and economic effects of climate change on the industry. 1999 Markets, contracts and labor. 2000 Global trends in wine marketing and potential impact of spread of plant diseases. 1998. Risk Management Seminar for Agribusiness Producers. Co-sponsored with USDA Risk Management Agency. 1998-2000; 2003. 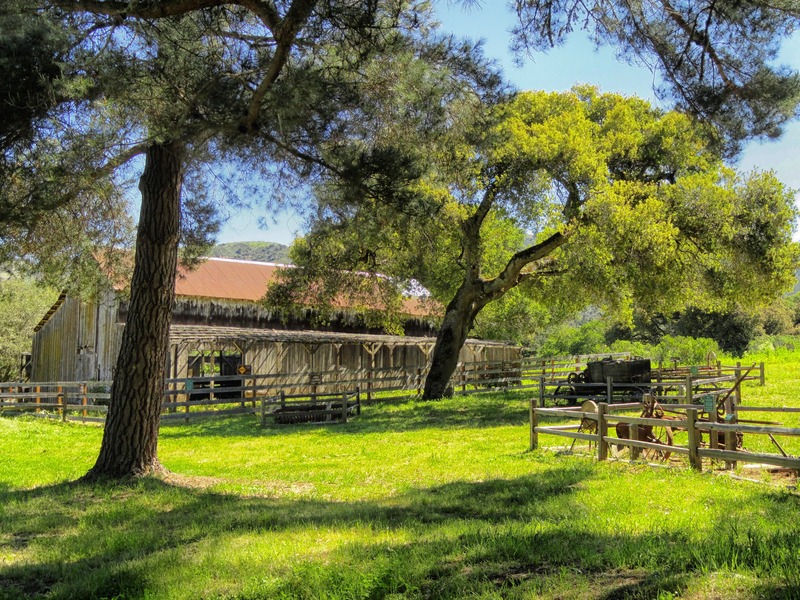 Assessing California’s Experience with Purchase of Agricultural Conservation Easements (PACE). An AIC collaborative study with UC Cooperative Extension and the California Department of Conservation. 1998; 2002; 2005; 2007. A Statistical Review of California’s Organic Statistics. Using the latest California Department of Agriculture registration data this AIC publication regularly quantifies the size and growth of the organic industry in California in terms of acres, farmgate sales and number of growers statewide and by commodity, commodity group, county, and region. 1998-2003. Exotic Pests and Diseases of Plants and Animals in California: Biology, Economics and Public Policy. Exploratory overtures by Richard Breitmeyer, State Veterinarian, who was taking a sabbatical at UC Davis, influenced Sumner to undertake this very broad study of invasive pests, economics, and control policies. After several meetings with a broadly based ad hoc advisory committee convened by AIC, the Center selected 14 different case studies representative of existing (e.g. yellow starthistle), eradicated (e.g. foot and mouth disease), and potential arrivals (e.g. red imported fire ant and bovine spongiform encephalophy). The UC DANR, USDA APHIS and CDFA contributed resources, both financial and expertise. The project’s case-study teams, which consisted of UC, industry, CDFA and USDA personnel, pulled together the knowns and unknowns for presentation at an interactive conference and AIC staff produced a background video. At the Sacramento conference, which was organized by the AIC, more than 150 scientists, economists and policy-level stakeholders assessed the threat to California from these pests. AIC published the team leaders’ presentations and audience discussions as a summary proceedings. Subsequently, AIC researchers undertook more in-depth economic analyses and detailed overviews of the biology of many of those pests. This more extensive information was published by Iowa state Press in 2003 (Sumner 2003) after the AIC wrote chapters on public policy principles, the regulatory framework and international trade agreements. 1999. Agricultural Personnel and Labor Issues. Aspects on labor have been important components of the Center’s executive seminars and risk management workshops, and in its studies on third-party effects of the drought water bank and of farmers’ perceptions of government regulations. With temporary consolidation of the UC Agricultural Personnel Management Program (APMP) in 1999 as a unit within AIC, Center staff took on technical editing of several books on labor management (Billikopf 2003) and support responsibilities for conferences and workshops focusing on farm labor, productivity and personnel management. The Third Annual Agricultural Labor and Employment Summit was one such event. 1999. Economic Impacts of Irrigation Water Cuts in the Sacramento Valley. A study, technical report and AIC Issues Brief (Lee et al. 1999). 1999. China’s Role in Agricultural Trade. A conference cosponsored with the International Agricultural Trade Research Consortium (IATRC). 2001. California Agricultural Trade with China. AIC organized a major workshop on California agricultural trade with China as part of the annual International Agricultural Trade Research Consortium (IATRC) meetings in San Francisco. 2004-2006 Implications of Australian-U.S. Free Trade Agreement (AUS-FTA). Supply and Demand for Commodity Components: Implications of Free Trade versus the AUSFTA for the U.S. Dairy Industry. 2007. Sources of U.S. Imports and Trade Flows. 2000. California Farmers and Conservation Easements: Motivations, Experiences and Perceptions in Three Counties. A Survey Study and Report. 2000. Agriculture in The Sacramento Region: Land Use; Agricultural Production and Processing, and Economic Trends. The materials for discussion at the forum were developed by AIC and are available to the general public. 2000. Biotechnology Seminar for State Professionals and University Researchers. Co-sponsored with the UC Sustainable Agriculture, Research and Education Program (SAREP) and held near the State Capitol. 2001 – ongoing. Value-Added Agriculture: The Agricultural Marketing Resource Center. Together with Iowa State University, the lead institution, and Kansas State University, the AIC collaborates in the Agricultural Marketing Resource Center (AgMRC). The goal of AgMRC is to make information available to those involved with value added agriculture. As originally proposed it was primarily to be a virtual center on the internet. AIC’s responsibilities primarily emphasize applied scholarly research that examines (1) government policy and linkages; (2) product differentiation, attribute marketing and traceability; (3) economic impacts of value-added processing; (4) effects of exotic pests and diseases and sanitary measures on marketing of agricultural products; and (5) implications for expanded bioenergy production in the West. AIC articles reporting on findings are posted on the AgMRC website (www.AgMRC.org). Another responsibility is that of writing and updating AgMRC commodity profiles—AIC wrote 29 commodities in the previous three years—and for responding to occasional “ask a specialist” type questions (for an example, see Boriss 2006) . Now in its seventh year, the project is funded by the USDA Rural Development Agency. Since establishment in 2001, and running through August 2008, when the current grant with ISU ends, AIC will have received funds which in aggregate total $1.5328 million in federal pass through funds, not counting the required UC match of equivalent contribution. 2001- 2003. Production Inputs Expenditures Program (PIE). Develop standardized methodology and procedures for production input studies to be used by USDA Federal Crop Insurance Corporation to develop insurance programs for specialty crops, including those produced organically. Develop various new California cost of production studies. 2001- 2003. Returns to University of California Pest Management Research and Extension. Overview and Case Studies Emphasizing IPM. The study and resultant book and journal article (Mullen et al. 2003; 2005) reviewed significant advances in pest management, the use and regulation of pesticides in California, the economic theory and empirical analyses of pest management issues, and detailed five case studies: almonds, cotton, oranges, processing tomatoes and lettuce. AIC researchers on this project estimate a benefit-cost ratio of 6:1 when UC pest management research and extension programs for all crops are aggregated. The benefit-cost ratios found in four case studies: almonds (5.5:1), cotton (4.4:1), oranges (0.4:1) and processing tomatoes (2.8:1). 2001-2006. Processing Tomatoes and EU Policies (Rickard and Sumner 2006). 2001-ongoing. Nutrition, Affordable Healthy Diet, Obesity and Government Policies. Analyses of the benefits to California producers and consumers of increased consumption of fruits and vegetables to meet minimum USDA recommendations. Consumer constraints to a healthier diet in low-income neighborhoods (Jetter and Cassady 2006). Obesity and farm policy is another topic the AIC has been examining. 2002. Scott Rozelle, AIC associate director and on China programs discussed China’s role as a customer and competitor for California agriculture at the fifth annual dinner. 2004. Tim Josling, Stanford University economist and international trade expert gave an update on the World Trade Organization negotiations and other trade issues. 2002-2006. Effects of Collective Action and Marketing Orders (e.g. Pistachios, Dairy). One study analyzed the impacts of a proposed collective, industry-wide marketing order to improve pistachio safety and quality and to enhance farm prices (e.g. Sumner et al. 2005). 2003. Science And Technology Focused Tours in Northern California Arranged for International Science and Agriculture Ministers and their Aides. AIC identified and planned all details of 12 different tours for an anticipated 600 guests of USDA Secretary Ann Veneman. Ministers viewed cutting-edge technologies (or research and development on them), and learned the reasons for the technologies and rudiments of the underlying science. One-hundred and sixty ministers and aides actually went on the site visits, choosing between visits to facilities concerned with grape growing and winemaking; dairy and processing of dairy products; rice growing, breeding and milling; food nutrition and technologies and environmentally benign pesticides; crop health and safety and plant and seed development; and animal health and safety. Overall, representatives of 77 countries participated in the tours. Representatives of 44 countries chose the UC Davis campus site visits. An unanticipated result for the Afghanistan delegation was to learn they could access genetic stock growing in UCD orchards, stock formerly from Afghanistan. 2003- 2004. Biotechnology Regulation and Labeling of Genetically Engineered Food. 2003. “The Challenges for Agricultural Policy Reform in Korea.” A presentation by Young-Jin Kim, Minister of Agriculture and Forestry for the Republic of Korea. AIC co-hosted a seminar with Institute of Government Affairs and Department of Agricultural and Resource Economics. 2003-2004. Risk Management Education for Farmers and Ranchers in California. Under a USDA Risk Management Agency partnership agreement with AIC, AIC collaborated with the Center for Agricultural Business, California State University Fresno (CAB) and FACTS—Farm and collaborative Training Systems in presenting workshops and courses and development of a website. AIC provided financial support to 23 UC county Cooperative Extension offices that joined in sponsoring the specific individual events. Numerous other organizations and agencies joined in sponsorship of the events. AIC developed materials and organized materials for presentation at the Plant or Pull Workshop in Yuba City, which it organized together with UC Cooperative Extension in Sutter/Yuba, Butte, Colusa, Glenn and Tehama counties. The risk management products that resulted from the partnership agreement are a website developed by CAB, an online seminar with emphasis for tree fruit and nut producers, eleven half-day workshops for small and beginning farmers, a ten-session course for cow, calf and hay producers, a two-day conference on agricultural diversification and marketing for small and medium scale specialty crop growers, an AIC-CE developed conference on the outlook for tree fruit and nut crops, especially prunes, cling peaches, walnuts and almonds (Plant or Pull), development and presentation of risk materials for the annual agribusiness conference in Fresno, a resource directory in English and Spanish for the Santa Cruz, Monterey and San Benito counties by the developed by the Santa Cruz County Cooperative Extension director, and articulation of a new paradigm in risk cycles by the AIC. In addition, AIC’s statistical analysis of the relationship between specialty crop farmer’s decisions to utilize risk management tools, the availability of those tools, and farm and farmer characteristics informed the curriculum and conferences. 2004. Chinese Market for U.S. Fruits, Vegetables, Wine and Winegrapes. This study pertaining to the Chinese market for California wine was undertaken with the California Association of Winegrape Growers Association, the Wine Institute and other industry representatives. 2004-2006. Costs and Benefits Of Government Invasive-Species Control Activities In California. The Center collected a unique set of data on state and federal government expenditures on exotic pest and disease control activities in California. Expenditures were summarized by the focus of pest control activity—exclusion, detection, eradication, and containment or suppression of pests and diseases of agricultural plants or animals. We then projected potential benefits of those collective programs under reasonable assumptions about their effects on the supply of and demand for California commodities. Our findings were presented in written form to CDFA Secretary A.J. Kawamura, who had expressed strong interest in our undertaking such an analysis. In addition, AIC findings were presented in a poster for the California Agriculture Symposium and on a panel at the 2006 international conference, The Future of Agriculture: Science, Stewardship and Sustainability, organized by the Kansas State University Hazardous Substance Research Center. 2005. California Agriculture Symposium. Organized by the University of California; California Polytechnic State University, San Luis Obispo; California State University, Fresno, with major support and assistance from the California Department of Food and Agriculture’s Buy California and Specialty Crop programs. March 23, 2005, Sacramento. CA. 2005. Economics of Traceability and Food Safety. 2005-2007. Antibiotic Resistance and Antibiotic Regulation In Livestock Production Systems. 2005-ongoing. Government Policy, Market Power and International Trade. 2005-ongoing. Pollination, Bees and Economics (Sumner and Boriss 2006). 2006-ongoing. Bioenergy Production And Implications For Western Agriculture. 2006-2008. Solano County Agricultural Futures: Land Use Planning, Agricultural Production and Processing, and Economics. At the request of the Solano County Board of Supervisors and in collaboration with Solano County Cooperative Extension and agricultural producers in the county, AIC researchers conducted a comprehensive analysis of agriculture within Solano County. The project produced four reports for the county supervisors, which cumulated in the final report “The Future of Solano County Agriculture: What County Government Can Do.” The report “Economic Roots of Solano County Agriculture” used GIS to profile 9 regions and 17 commodities (Richter and Sokolow, 2007). To help county planners and producers visualize where specific commodities are produced, the project created the first parcel-level GIS-based agricultural value map in California. Since completion of the Solano project, Yolo County and the Sacramento Council of Regional Governments have each expressed strong interest in the AIC undertaking similar studies for their regions. 2007. Central Valley Risk Management Conference. AIC with Cooperative Extension and Prune Bargaining Association. 2007. Wild Pigs in California: The Issues. AIC Issues Brief No. 33 (Kreith 2007) describes the current situation in California and identifies policy concerns and interests. Issues identified and on which AIC sought data included physical damage and economic costs, biology and ecology, competition for resources with livestock and native and naturalized wildlife, disease infection and transmission, specialty crop contamination and risks to food safety, recreational hunting, control measures and policies. Since commencing our study, wild pigs have been elevated to the policy agenda in California. 2007- ongoing. Environmental Sustainability Services Provided by Agriculture. California Agroecosystem Services Conference. AIC took the lead in planning a round table discussion of government, industry, academic and NGO leaders to explore this important emerging issue for agriculture. Among the topics discussed: how to model ecosystem services for policy analysis, ecological issues and development of policy for ecosystem services, evaluating regulation and conservation policy for externalities, air and water pollination reduction services, greenhouse gas sequestration, air quality, carbon trading and markets. Together with the AIC, the sponsors were the California Department of Food and Agriculture, California Resources Agency, California Polytechnic State University, San Luis Obispo and the Agricultural Sustainability Institute, University of California, Davis. 2008. Economic Effects of Establishing Space Requirements for Egg Layers. The AIC is examining the potential economic impact of the proposed California ballot initiative that would call for the replacement or modification of existing cages with alternative systems, with the intended purpose of improving the welfare of egg-laying hens. As can be seen in the above partial enumeration of topics and issues examined by the Center in the past 23 years, the Center applies its resources to its priority issues—international trade and globalization of agriculture; advances in productivity and technology; linkages between natural resources, the environment and agriculture; rural-urban interactions, particularly land use issues; agricultural personal and labor issues; and commodity market and agribusiness issues. Utilizing AIC researchers, and with access to university resources, the Agricultural Issue Center often partners with the broader community. 1 Harold O. Carter. Draft history of the University of California Agricultural Issues Center. January 12, 1999, p. 2. November 14, 1985, Hal Carter appointed Director of the Agricultural Issues Center for a 3-year term. 2 James B. Kendrick, Jr. From Plant Pathologist to Vice President for Agriculture and Natural Resources, University of California, 1947-1986. An interview conducted by Ann Lage in 1987. University History Series. University of California Berkeley, CA. 1989, p. 244. 3 Harold O. Carter. Draft history of the University of California Agricultural Issues Center. January 12, 1999, pp. 1-3. 4 James B. Kendrick, Jr.. From Plant Pathologist to Vice President for Agriculture and Natural Resources, p. 234. 6 Harold O. Carter. Draft history of the University of California Agricultural Issues Center. January 12, 1999, p. 3. 8 James B. Kendrick, Jr.. From Plant Pathologist to Vice President for Agriculture and Natural Resources, University of California, 1947-1986, pp. 235-236; and 244. 10 Willie L. Brown, Jr. Speaker of the Assembly. Letter to members of the American Agricultural Economic Association Distinguished Policy Contribution Committee. January 29, 1991. 11 James B. Kendrick, Jr. From Plant Pathologist to Vice President for Agriculture and Natural Resources, University of California, 1947-1986, pp. 235-236. 12 J. B. Kendrick, Jr.. “Agricultural policy center—friend or foe?” in California Agriculture, 39 (March-April, 1985):2. 13 James B. Kendrick, Jr. From Plant Pathologist to Vice President for Agriculture and Natural Resources. Interviewed by Ann Lage in 1987 after his retirement, Kendrick stated “The West does not get well considered in national agricultural policy.” In his view western growers of vegetables, fruits and nuts have less influence in national policies “because agriculture policies are dominated by (midwestern) corn, wheat, soy beans, beef, and diary interests” and “economists and spokespersons for agricultural policy are more apt to emerge from the midwestern or eastern universities…” Because of this, another of his motives to establish a western agricultural research center was to increase the relevance of western agriculture in national policy (pp. 243-244). 15 Harold O. Carter. Draft history of the University of California Agricultural Issues Center. January 12, 1999, p. 8. 16 James B. Kendrick, Jr.. From Plant Pathologist to Vice President for Agriculture and Natural Resources, University of California, 1947-1986, p. 236. 17 Willie L. Brown, Jr. Speaker of the Assembly. Letter to members of the American Agricultural Economic Association Distinguished Policy Contribution Committee. January 29, 1991; and House Resolution No. 8. 18 James B. Kendrick, Jr.. From Plant Pathologist to Vice President for Agriculture and Natural Resources, University of California, 1947-1986, pp. 237-238. 19 House Resolution No. 8. Relative to establishment of a Center for the Analysis of Western Agricultural Issues. Author amendments adopted March 6, 1985. 20 James B. Kendrick, Jr.. From Plant Pathologist to Vice President for Agriculture and Natural Resources, University of California, 1947-1986, p. 238. 22 House Resolution No. 8. Relative to establishment of a Center for the Analysis of Western Agricultural Issues. March 6, 1985. 23 Harold O. Carter. Draft history of the University of California Agricultural Issues Center. January 12, 1999, p. 9. 24 James B. Kendrick, Jr.. From Plant Pathologist to Vice President for Agriculture and Natural Resources, University of California, 1947-1986, p. 239. 26 University of California Agricultural Issues Center, 1985. A Report to the Legislature.” Submitted on March 3, 1986 to Speaker Willie L. Brown, Jr. by J.B. Kendrick, Jr., p.3. 27 James B. Kendrick, Jr.. From Plant Pathologist to Vice President for Agriculture and Natural Resources, University of California, 1947-1986, p. 243. 28 University of California Agricultural Issues Center, 1985. A Report to the Legislature.” Submitted on March 3, 1986 to Speaker Willie L. Brown, Jr. by J.B. Kendrick, Jr.. The job description for the Director of the Agricultural Issues Center was submitted as an attachment to the report. 29 University of California Agricultural Issues Center, Twelfth Annual Report. 1996-1997. 30 University of California Agricultural Issues Center, 13th Annual Report. 1998. 1985 – 1997 Howard Margueleas, CEO, Sun World International, Inc.
1994 – continuing Karen Caplan, president and CEO, Frieda’s Inc.
1994 Karen Caplan, president and CEO, Frieda’s Inc.
*Published by University of California Agricultural Issues Center, unless otherwise indicated. Acquaye, Albert K. A. Julian M. Alston, Hyunok Lee, Daniel A. Sumner 2005. “Economic Consequences of Invasive Species Policies in the Presence of Commodity Programs: Theory and Application to Citrus Canker.” Review of Agricultural Economics, (27), 3 (September 2005):498-504. Alston, Julian M., Philip G. Pardey and Harold O. Carter, editors. 1994. Valuing UC Agricultural Research and Extension. VR-1, March 1994. 117 pp. Coppock, Ray and Marcia Kreith, editors. 1994. Valuing UC Agricultural Research and Extension: A Summary Report. VR-2, June 1994. 21 pp. Atwill, Edward R. 1997. Pathogens Excreted by Livestock and Transmitted to Humans through Water. 19 pp. Balagtas, Joseph V. and Daniel A. Sumner. 2003. “The Effect of the Northeast Dairy Compact on Producers and Consumers, with Implications of Compact Contagion.” Review of Agricultural Economics, (25), 1 (June 2003): 123-144. Balagtas, Joseph. V., Fiona M. Hutchinson, John M. Krochta, and Daniel A. Sumner. 2003. “Ex Ante Analysis of R&D: Anticipating Market Effects of New Uses for Whey and Evaluating Returns to R&D.” Journal of Dairy Science, (86), 4 (May 2003):1662-1672. Billikopf, Gregory Encina. 2003. Labor Management in Agriculture: Cultivating Personnel Productivity, 2nd ed. 248 pp. University of California Agricultural Issues Center. ANR Pub. No. 3417. Billikopf Encina, Gregory. 2002. Administración Laboral Agrícola: Cultivando la Productividad del Personal. Edición Internacional. Boriss, Hayley. 2006. Commodity Profile: Rice. University of California Agricultural Issues Center/Agricultural Marketing Resource Center. Bradford, Kent, Julian Alston, Peggy Lemaux and Daniel Sumner. 2004. “Challenges and opportunities for horticultural biotechnology.” California Agriculture, Vol. 58, No. 2, 68-71 (April-June 2004). Butler, L.J. (Bees), Javier Ekboir. 1995. Dairying in California’s Imperial Valley: Is it feasible? 53 pp. Carter, Colin and Harold O. Carter, editors; Ray Coppock technical editor. 1992. North American Free Trade Agreement: Implications for California Agriculture. Proceedings of a conference on March 5, 1992 in Los Angeles, California. 240 pp. Carter, Harold O., Raymond Coppock, Marcia Kreith, Ivan Rodriguez, and Stephanie Weber Smith. 1996. Voices of California Farmers: Effects of Regulations. 150 pp. Carter, Harold O. and George Goldman. 1992. The Measure of California Agriculture: Its Impact on the State Economy. University of California Division of Agriculture and Natural Resources, Publication 21517. 62 pp. Carter, Harold O. and Carole Frank Nuckton, editors. 1990. California’s Central Valley—Confluence of Change. 115 pp. California’s Great Central Valley: Confluence of Change. 1990. 33 min. video. Carter, Harold O., Henry J. Vaux, Jr., and Ann F. Scheuring, editors. 1994. Sharing Scarcity: Gainers & Losers in Water Marketing. 239 pp. Coppock, Ray and Marcia Kreith, editors. 1997. California’s Future: Maintaining Viable Agriculture at the Urban Edge. 81 pp. Coppock, Ray and Stephanie Weber, editors. 1994. Animal Agriculture Impacts on Water Quality in California. 86 pp. Ekboir, Javier M. 1999. Potential Impact of Foot-and-Mouth Disease in California: The Role and Contribution of Animal Health Surveillance and Monitoring Services. 123 pp. Ekboir, Javier, Lovell S. Jarvis, Daniel A. Sumner, Jose E. Bervejillo, and William R. Sutton. 2002. “Changes in Foot and Mouth Disease Status and Evolving World Beef Markets.” Agribusiness: An International Journal, (18), 2 (Spring 2002): 213-229. Goodhue, Rachael E., Dale M. Heien, Hyunok Lee and Daniel A. Sumner. 2003. “Contracts and Quality in the California Winegrape Industry.” Review of Industrial Organization 23 (2003): 267-282. Jetter, Karen M. 2005. “Economic Framework for Decision Making in Biological Control.” Biological Control. 35:348-357. Jetter, Karen M. and Diana L. Cassady. 2006. “The Availability and Cost of Healthier Food Alternatives.” American Journal of Preventive Medicine. 30:38-44. Jetter, Karen M. and Timothy Paine. 2004. “Consumer Preferences and Willingness to Pay for Biological Control in the Urban Landscape.” Biological Control. 30:312-322. Keith, Diana, Ellen Rilla, Holly George, Ramiro Lobo, Laura Tourte and Roger Ingram. 2003. “Obstacles in the Agritourism Regulatory Process: Perspectives of Operators and Officials in Ten California Counties.” AIC Issues Brief, No. 22, November 2003. Klonsky, Karen and Kurt Richter. 2007. Statistical Review of California’s Organic Agriculture, 2000-2005. 32 pp. Kreith, Marcia. 2007. “Wild Pigs in California: The Issues.” AIC Issues Brief. No. 33. December 2007. Lee, Hyunok, Daniel A. Sumner, and Byeong-il Ahn. 2006. “Consequences of Further Opening of the Korean Dairy Market.” Food Policy, (31), 3 (June 2006): 238-248. Lee, Hyunok, Daniel A. Sumner and Richard E. Howitt. 1999. Economic Impacts of Irrigation Water Cuts in the Sacramento Valley. Mueller, Rolf A.E. and Daniel A. Sumner. 2005. “Clusters of Grapes and Wine.” Paper prepared for the workshop on “Clusters” at the Annual Meeting of the American Agricultural Economics Association, Providence, Rhode Island, July 23, 2005. Mullen, John D. Julian M. Alston, Daniel A. Sumner, Marcia T. Kreith, and Nicolai V. Kuminoff. 2005. “The Payoff to Public Investments in Pest-Management R&D: General Issues and a Case Study Emphasizing Integrated Pest Management in California.” Review of Agricultural Economics, (27), 4 (December 2005): 558-573. Mullen, John D., Julian M. Alston, Daniel A. Sumner, Marcia T. Kreith, and Nicolai V. Kuminoff. 2003. Returns to University of California Pest Management Research and Extension. Overview and Case Studies Emphasizing IPM. University of California Agricultural Issues Center, ANR Publication 3482. Richter, Kurt and Alvin Sokolow. 2007. The Economic Roots of Solano County Agriculture. Rickard, Bradley J. and Daniel A. Sumner. 2006. “EU Support of its Processing Tomato Industry and the Competitive Consequences for California.” California Agriculture, (60), 4 (2006): 207-210. Romain, Robert F. and Daniel A. Sumner. 2001. “Dairy Economics and Policy Issues between Canada and the United States.” Canadian Journal of Agricultural Economics, (49), 4 (Dec. 2001): 479-492. Rozelle, Scott D. and Daniel A. Sumner, editors. 2003. Agricultural Trade and Policy in China: Issues, Analysis and Implications. Aldershot, U.K.: Ashgate Publishing Limited. Stricker, Susanne, Rolf A.E. Mueller and Daniel A. Sumner. 2007. “Marketing Wine on the Web.” Choices, (22), 1 (2007): 31-34. Sumner, Daniel A., editor. 2003. Exotic Pests and Diseases: Biology and Economics for Biosecurity. Iowa State Press, Ames, Iowa. 265 pp. Sumner, Daniel A.. 2004. “World trade rules affect horticultural biotechnology.” California Agriculture, Vol. 58, No. 2, 77-78 (April-June 2004). Sumner, Daniel A. and Hayley Boriss. 2006. “Bee-conomics and the Leap in Pollination Fees.” Agricultural and Resource Economics Update, University of California, Davis, (9), 3 (Jan/Feb, 2006): 9-11. Sumner, Daniel A., Henrich Brunke, Julian M. Alston, Richard S. Gray and Albert K.A. Acquaye. 2005 “Industry Initiated Regulation and Food Safety: the New Federal Marketing Order for Pistachios.” Agricultural and Resource Economics Update, University of California, Davis, (8), 6 (July/Aug, 2005): 5-7. Sumner, Daniel A., José E. Bervejillo and Lovell Jarvis. 2005. “Public Policy, Invasive Species and Animal Disease Management.” International Food and Agribusiness Management Review, 8.1, January 2005. Tourte, Laura and Karen Klonsky. 1998. Statistical Review of California’s Organic Agriculture, 1992-1995. 97 pp. University California Agricultural Issues Center. 2000. Agriculture in the Sacramento Region: Trends and Prospects. 54 pp. University California Agricultural Issues Center. Competitive Edge Series: Beef, 1991; Dairy, 1992 and 1994; Rice, 1994; Canned Fruits, 1992; Walnuts, 1995. University of California Agricultural Issues Center. 2006b. The Measure of California Agriculture, Highlights. Winter, Carl K. James N. Seiber, and Carole F. Nuckton, editors. 1990. Chemicals in the Human Food Chain. Van Nostrand Reinhold, New York. 276 pp.